Now that we are getting close to summer, it’s time to have a look and see what fruits are in season during this period. From the variety of different Spring fruits, we have chosen mango. 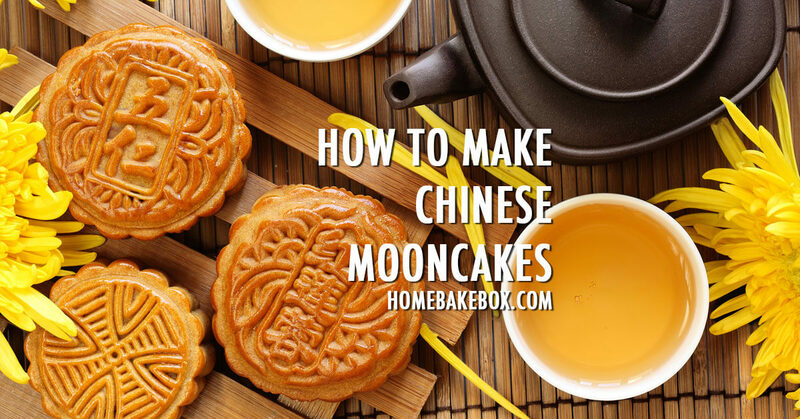 Mangoes are in season from Spring until Summer, so this gives you enough time to try some of the delicious mango bakes. Did you know? That mango contain vital nutrition for your daily diet. They contain your daily fibre and both vitamin A and C, so at least you know you’re having something good within your bake. 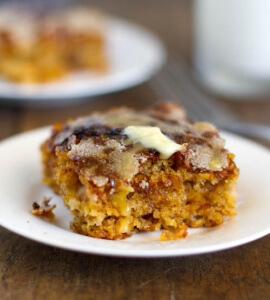 I have been searching for a variety of mango bakes and have come up with some of the very best and most interesting baking ideas to try out! 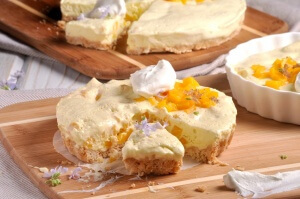 A simple and basic mango bake with quark, which is a fresh cheese of similar consistency to ricotta but much lower in fat. To go for a more healthy option use reduced-fat fresh ricotta or reduced-fat cream cheese. 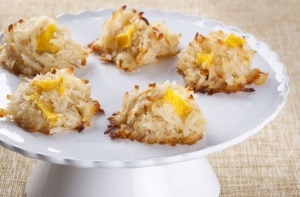 Homemade macaroons are naturally gluten free and a popular bake too, so why not include mango into it as well. 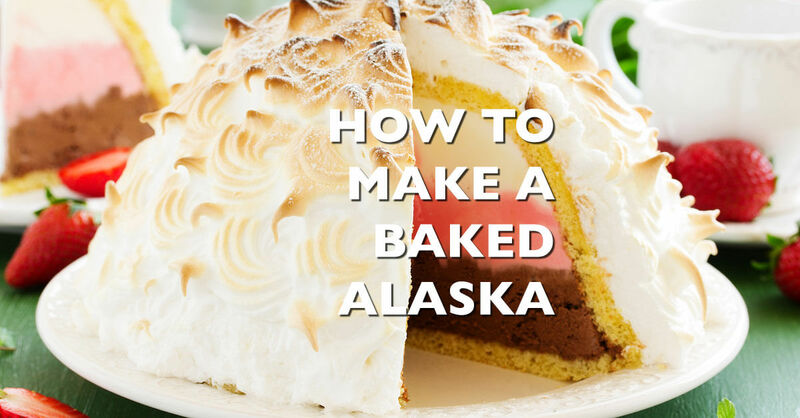 This recipe is a fun twist on the classic coconut treat. 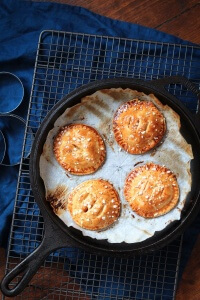 These mini mango pies are easy enough for little hands to make, quick enough for an emergency bake and really really tasty. 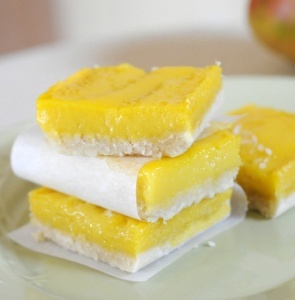 These Mango Bars are a riff on lemon bars, with a custardy topping that is packed with fresh mango – and lots of mango flavour. This elegant spring dessert is wonderfully light and refreshing—tropical cubes of mango suspend in creamy sabayon atop crunchy shortbread. 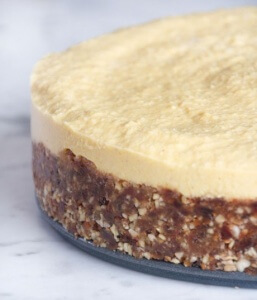 This mango snack cake is crunchy, sugary, along with the brulee-like topping and its melted butter on top, it’s just irresistible. 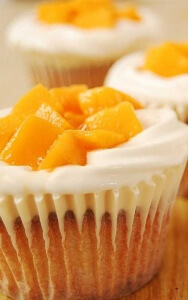 Sometimes a simple mango cupcake is enough for you to cherish the juicy and delicious taste of the amazing fruit. 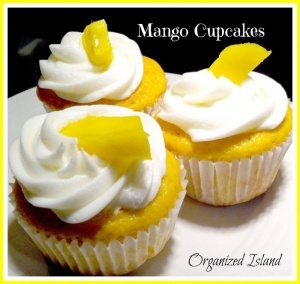 A slightly different twist to a normal mango cupcake. 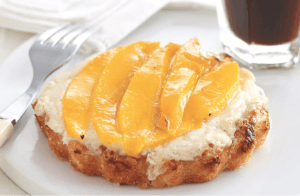 If you love cream cheese and mango together with a super light and moist, bakery-like cupcake…then this is for you! 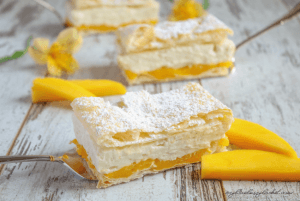 Mango Mille-Feuille, a delicious dessert of French origin, or so it is assumed. No matter where it originally came from, today it is popular all over the world and most of all in my family, particularly with my husband. 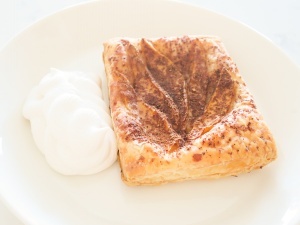 He loves the different layers of crispy puff pastry and delicious custardy cream. 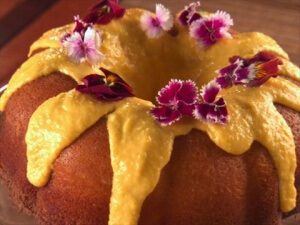 In this version a layer of mango puree has been added to give the recipe a fruity and seemingly light touch. It’s incredibly refreshing, making it a perfect Spring or Summer dessert. Wonderfully light yet amazingly satisfying. A typical Napoleon, but done with mango instead. 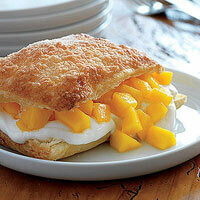 This crispy puff pastry sandwiching the mixture of yogurt and mango. With the filling just oozing out, who can resist it? 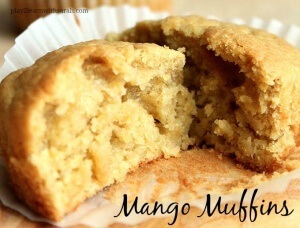 If you’re a fan of muffins and mangos, why not try this mango muffin bake. It promises to be a pleasant surprise for fans. 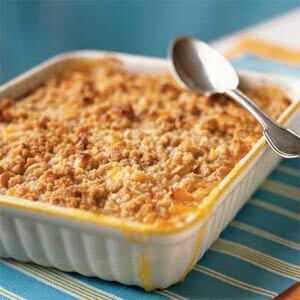 The fruit’s tangy-sweet taste and velvety texture contrasts nicely with the crunchy nut topping. 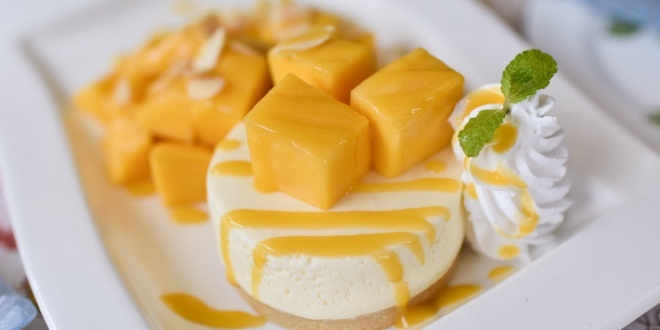 Super simple, minimalistic yet delicious dessert with baked mango slices on puffy pastry bottom, served on it’s own or with some vanilla ice cream or whipped cream. 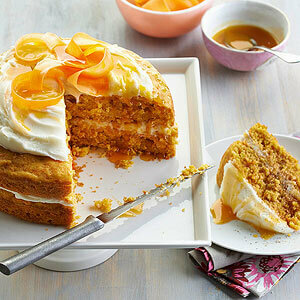 Fans of carrot cake and mango can enjoy this bake, where we infuse mango into the already favourite carrot cake. 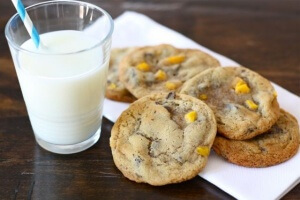 The sweet chunks of mango brighten up the classic chocolate chip cookie. 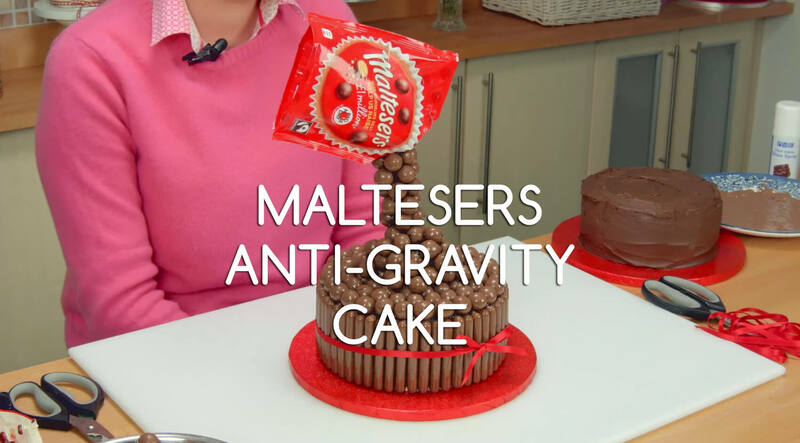 If you have any cake ideas or designs you’d like to share, or anything you want to know how to bake and to get us to do the hard work of finding out how for you, just let us know! 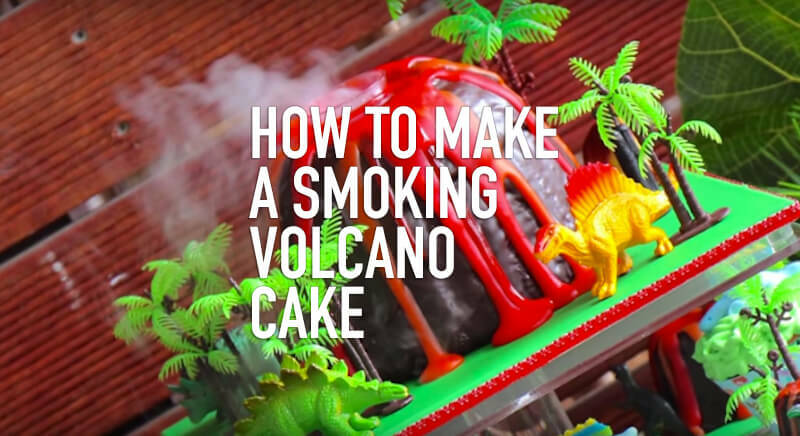 Previous 21 Ridiculously Incredible Things You Can Do With Cookie Dough!